To a girl from my class who was giving my friend Devaki a hard time - "If you say one more word about Devaki, I will throw you out of the window" - "Tula khidkitun baher phekun dein!" Then in engineering college there was this intense "cold war" going on between me and this other girl. I got tired one day and said to her - "I know you hate me and I hate you too.. but that doesn't mean we can't show common courtesy to each other!" - hahahahaha - way to show my courtesy! The funniest thing is none of these silly things I did seemed silly at that time (to me). These conflicts and their resolutions were a significant part of my school life! 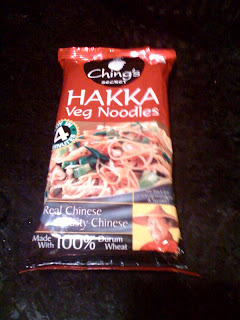 I guess by now you are wondering what does this have to do with IndoChinese Hakka noodles?? After making a "compro" with the cold war opponent in engineering college - I went to her birthday party and her Mom had made this amazing Indo Chinese fried rice.... I called her up the next day and asked for the recipe. I am also posting this recipe in response to the popular demand (of 1 person).. ARC had commented on the Broccoli with garlic sauce post asking for the fried rice recipe.. and he has reminded me a couple of times since then.. so here it is - just replace noodles with 2 cups of half cooked rice. Start heating water for boiling noodles. Add a pinch of salt and a tsp of oil to the water - the oil helps separate the noodle strands even after they are boiled. Transfer cut carrots and beans in to separate microwave bowls add 1/2 cup water to each bowl. Cover the bowls and microwave each bowl for 1.5 minutes. 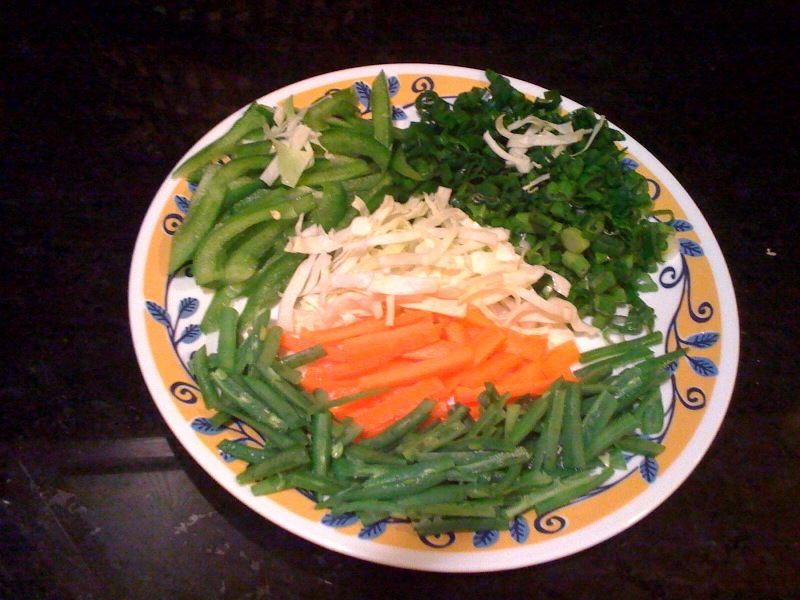 Separate the half cooked carrots and beans from the water and keep aside. Half cooking carrots and beans ahead of time helps retain the color. Heat oil in a wok or a pan and when the oil reaches its smoking point add garlic, ginger and grab the lid of the pan in the other hand.. the garlic starts to splutter quite a bit.. now add soy sauce to this hot oil and cover the lid.. and turn the heat to medium - the soy sauce violently splutters with garlic and oil.. open the lid after 20 seconds or so and you will get the aroma of Indo chinese noodles already! Next steps are really simple - Turn the heat for the wok to medium and add half of the french onions to the oil, sir well till it changes color. Next add cabbage and green peppers - both give out quite a bit of water - don't cover the lid! Let them shallow fry in the soy goodness.. once the mixture looks relatively dry, put carrots and beans and stir well. 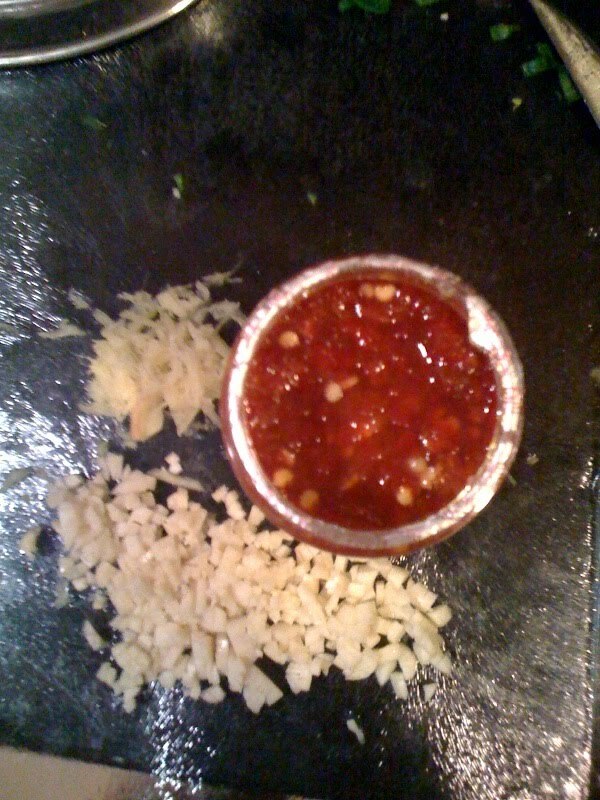 Add vinegar and crushed pepper and mix well. Now turn the heat to low and focus on the noodles. To the boiling water in the other pan add the pack of Ching's hakka noodles and cover the lid. Turn the heat to medium and cook the noodles no more than 2 minutes. 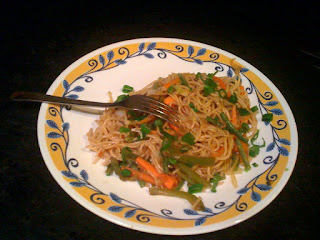 Strain the noodles and add to the wok, mix well with the veggies. Cover the lid for half a minute. Garnish with the remaining french onion and enjoy!!! Just when I was thinking: Where is this week's post?? @Smita: I have had the good fortune of tasting this :). I remember it was yummy! For the past few years, Hakka noodles always reminds me of Circuit from Munnabhai. Looks so good......I'm gonna try it out. Thanks for posting this recipe! !